With Manchester City taking the lead in the Premier League title race for the first time in 2019, who do our pundits think will lift the trophy in May? 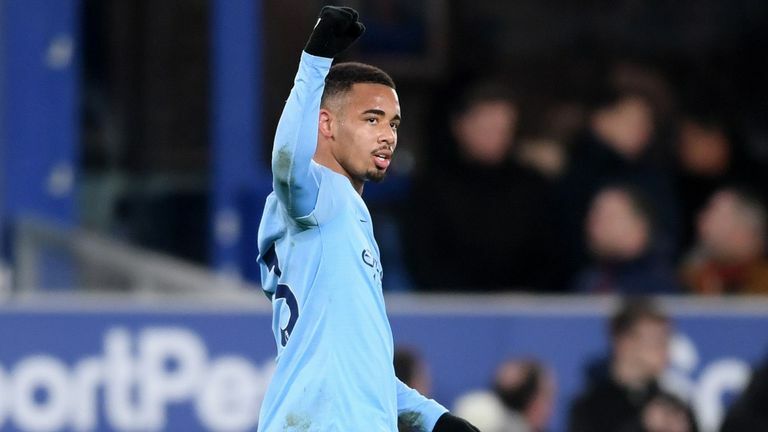 City jumped back above Liverpool on goal difference with a 2-0 win at Everton on Wednesday, the first time they have ended a day top of the Premier League since December 15 last year. Liverpool do have a game in hand, but it is away to Ole Gunnar Solskjaer's Manchester United - who have won nine of their 10 games since he took over. I have got to side with Manchester City. Liverpool's squad looks shallow - no disrespect to Divock Origi, but when you are chasing a game, like at West Ham, and Origi comes on. I look at City and every player on their bench can turn a game. And that will take its toll over the season. I feel for James Milner, who is an unbelievable midfielder having to play at right-back. And Liverpool need their full-backs, the way they play they are a massive factor who go under the radar a bit. Trent Alexander-Arnold and Andy Robinson are unsung heroes because they bomb on up and down the wing and get crosses in, they get back and defend, and then all of a sudden they now do not have that outlet as they do not have a right-back. And that means Robertson is not as confident going forward. They become unbalanced, while they have no flair in midfield. It is all very well have a great front three, but you have to get the ball to them. You watch them (the front three) and they are not three players who will get the ball and then beat three or four players and score a goal. They need to be put in, or there has to be movement. So, I have to go for City with their squad - there is a lot of nervousness with Liverpool and I keep on hearing 29 years now. I did not hear that at the start of the season, but over the last week or two, I have heard it a lot. I think it has got to the players, the manager and the fans and the supporters now need to make every home game like it is a midweek Champions League game and one of those grounds where no one wants to play at. I backed Manchester City at the start of the season and I haven't changed my mind once this campaign. The strength of their squad is going to be the deciding factor for me. The fact they can change their team and it is still so strong with not a problem. Liverpool don't have the same options, especially with Champions League coming up soon. If they suffer more injuries Liverpool will be stretched. Henderson playing right-back I think was regretful as well as letting Clyne go. If any of the front three pick up knocks then the players coming in will not quite be the same standard. Even with how poor West Ham have been, we knew they would roll up their sleeves and show their fans how good they are against the big boys. It is a bit embarrassing how they turn up for the big games, like Manchester United and Arsenal too, and capitulate in some of the smaller games. I think Liverpool are still in the driving seat while it remains like this. They face Bournemouth on Saturday while City take on Chelsea. Nerves are being shredded at the moment and dropping four points in the last two games is not really helping. It is the performances. I have been a great believer being a defender, that having consistency with the formation helps and that was their forte, a back four and a goalkeeper means more clean sheets. Once the injuries hit they have kept changing the back four and then you are changing the dynamics of the side. You can see that. The lads up front - while they weren't scoring goals - you could count on the defence keeping clean sheets, but they have looked vulnerable. 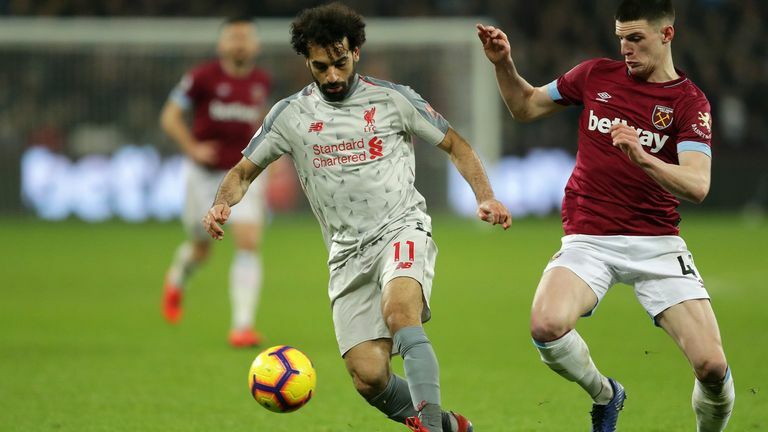 Possession was given away a lot against West Ham which was one of Klopp's fortes. The set-piece vulnerability was a lot to do with changes in personnel. Liverpool have to get their consistency and intensity back in their game. Bournemouth will look to hit on the break like they did at Chelsea so they can be dangerous. I stayed with City during the period of confusion and I am staying with them now. Many people have different opinions on it, but I think City have a bit more clinical belief in them than Liverpool. Pressure plays a part in everything. I have done Liverpool's last two games and the reality is they are not playing that well. City are winning again now, but even against Arsenal, it was not easy - they still had to work hard. If they go one or two up in the first half, then they could win five or six. Goal difference can become an important issue. It was good for Liverpool because their forwards were doing their job but now they have gone a little bit quiet and there is vulnerability at the back, whereas City were vulnerable there before. Liverpool have drawn two and everyone is saying they are going to bottle it. They are not bottling it, but they are not playing well. I think City could potentially win every game they have left this season. They have a tough trip to Manchester United, but I think they will do it. I expect them to beat Chelsea on Sunday. Liverpool have got to go to Everton and Manchester United, which could prove sterner tests for them. They are finding their form desert them at the minute and because of that I am going to say City.